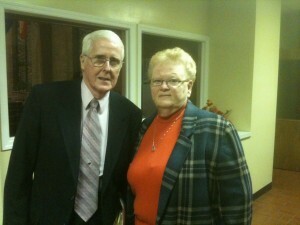 Keith Blair brings over 40 years of ministry experience to our staff. He has served as the senior pastor of Mt. Carmel Baptist Church in Franklin County, Mason Baptist Church in Grant County, the First Baptist Church of Vanceburg in Lewis County, and First Twelve Mile Baptist Church in Campbell County. Prior to coming on staff with our congregation, Keith served in various churches as an interim pastor, including with our own fellowship. Brother Keith and his wife, Ruth Ann, also serve as our 4-5 year old Sunday School teachers.